The series is a powerful collection of colour documentary photographs of families on a council estate in Moore's home city of Derby, UK, made between 1987 and 1988. At the time, few serious documentary photographers were working in colour and Moore's choice was in many ways a rebellion against the prevalent aesthetic. It was also a critical response to the new political and social realities imposed by Margaret Thatcher's Conservative government from 1979. 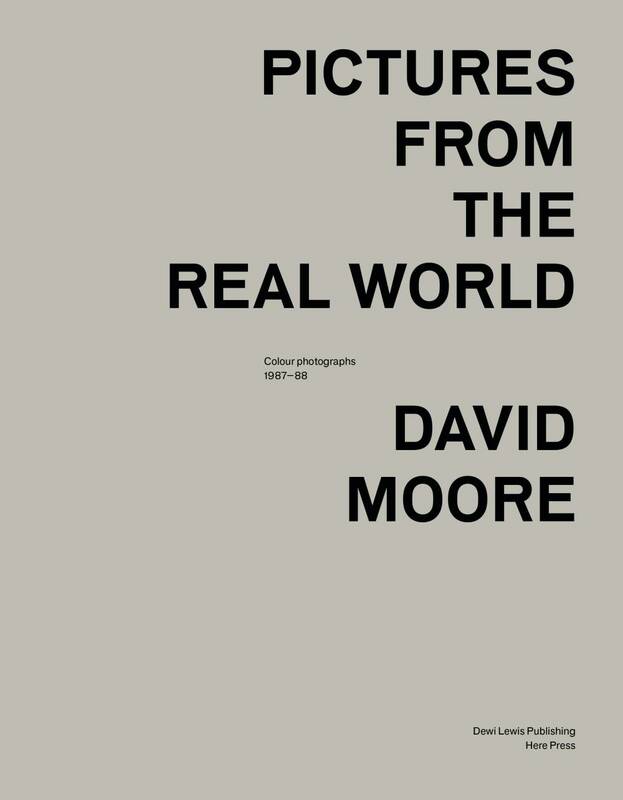 As David Chandler comments in a new essay commissioned for the book; 'Pictures from the Real World' presents working class life as a strange blend of physical mayhem and inertia, the abrasive square frames of Moore's camera cut into bodies and objects, much as the rooms themselves seem to struggle to contain them'. Published as a limited edition of 500 copies the book is a unique collaboration between Dewi Lewis Publishing and London based, Here Press. The work retains a visceral energy 25 years after the event and documents a very particular time in British social and photographic history. One might also argue that the subsistence level living encountered connects the content of the work to current times.